Keep your Dragonfly 7-Pro protected when not in use with the A80372 Slip-On Suncover. 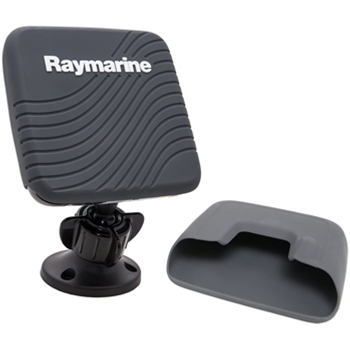 The Raymarine Slip-On Sun Cover is made of soft, flexible silicone rubber that wraps around the front and back of your DragonFly 7-Pro to completely cover the LCD Display, keypad and MicroSD card slot with full weather and sun protection. The soft, thick face also provides limited impact protection for the Dragonfly’s front glass panel. The sun cover can be used while the Dragonfly is on or off of its ball and socket mounting bracket. It also fits securely to prevent blowing off in heavy winds, but can easily be removed by simply pinching the top of the cover and sliding it upwards.